Don’t scream. There’s plenty for of ice-cream for everyone at the Brain Freeze Ice Cream Festival! Unlimited Blue Bell ice-cream in 21 flavors. Unlimited bouncing with Tucson’s largest collection of inflatable fun. Foam parties, face-painting, and….we’ll say it again – unlimited ice-cream. 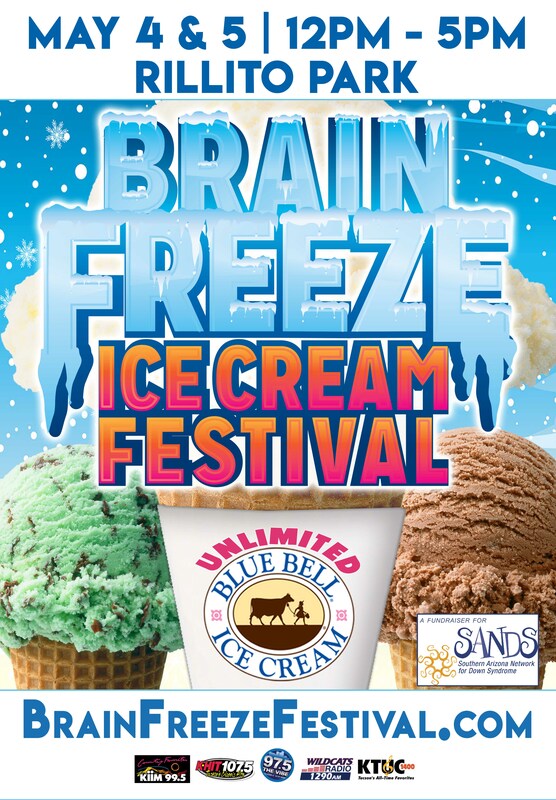 It’s all yours at the Brain Freeze Ice Cream Festival. May 4th and 5th at Rillito Park. Open 12p to 5p daily. A fundraiser for the Southern Arizona Network for Down Syndrome.